Stop by Fab's new Soho showroom to check out Fab's private label furniture debut. I worked on a bunch of it, so swing by this Saturday (5/17) night and have a drink with me! See you there! 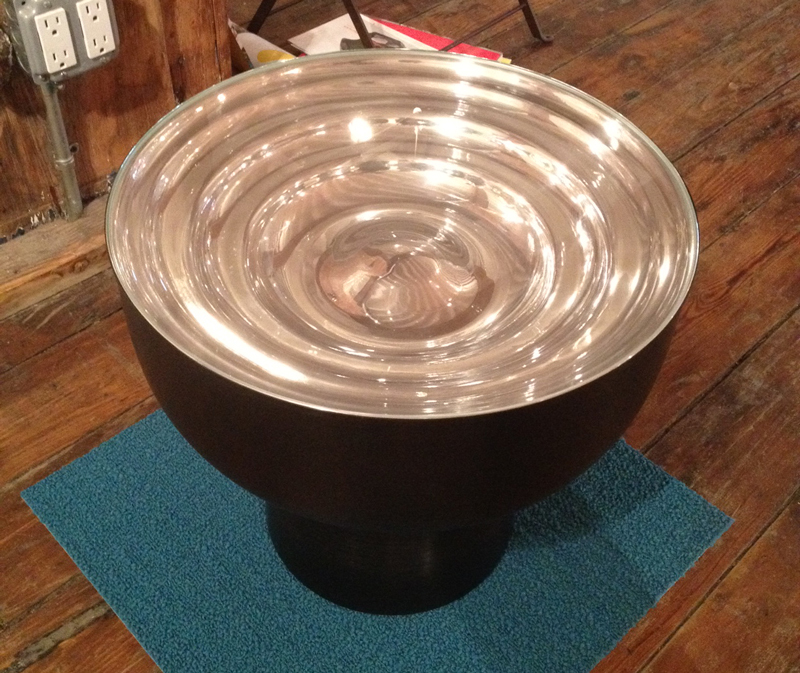 A glass top nests into a polished & anodized aluminum base. I am excited to announce that an idea I had for a cotton swab holder is now available from Umbra. Pick up your very own Foresta Porcupine Canister online or in stores! I am debuting the S/P Shakers at the BOFFO Show House 2012. The New York showcase will be open until June 4. Check it out! I was recently on CBS national news discussing Apple, design, and the future. Click here to watch the video. During New York's Design Week I exhibited some new work with a bunch of talented folks at the Model Citizens satellite show.